We are proud to announce the release of our newly redesigned website. It has been crafted to reflect what our clients told us they need now but also builds upon technology capable of addressing future needs. Immediately you will notice streamlined menus, simple navigation and access to the information you need, any time of day. Streamlined to work with all platforms and devices, please take a look around and drop us a note! for your friendship and good will, we wish you all the joys of this holiday season. 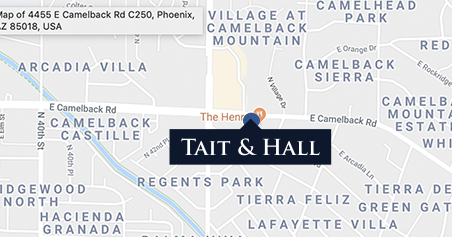 We are excited to announce that our team has moved to a new location in the Dana Park area of Mesa. We spent the previous three years in a building about a mile away from our new location — our old office served us well, and we made great memories there, but we couldn’t be more excited about our new space. The new office is located above the turn style consignment store just east of Dana Park, putting us right on the street and looking out onto Dana Park’s impressive architecture. We’re excited about the hustle and bustle happening outside our windows and all of the great restaurants within an easy walking distance of the new location.